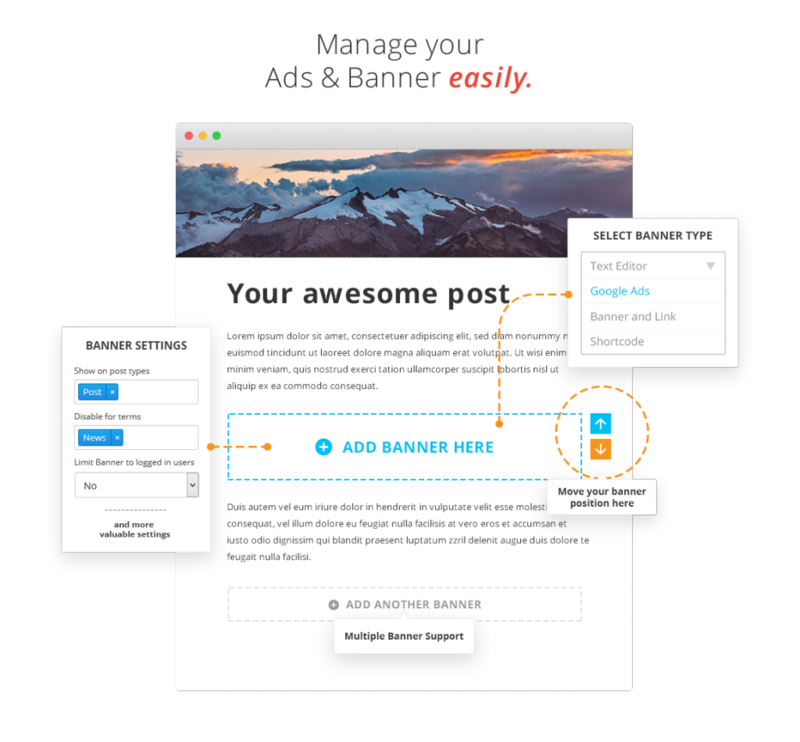 Simple Banner & Ads Manager is a small, easy to use plugin that allows you to place a banner or ads on a posts. Banners can be placed anywhere in your posts, including in the middle, top or bottom of your post. You can add multiple ads/banner inside your post to fit your needs. You can change the position of your ads/banner in realtime with intuitive point-and-click user interface to move your ads between paragraph. Melakukan development WordPress memang paling mudah dan nyaman di localhost. Selain cepat, aman juga murah meriah. Tetapi setelah development selesai, lalu apalagi yang harus dilakukan? Tentu saja meng-online kan WordPress tsb. Bahasa teknis nya adalah melakukan migrasi dari localhost ke server hosting yang sudah kita sewa sebelumnya. Ada banyak sekali jasa penyedia hosting yang murah dan cukup bagus di Indonesia, google adalah sahabat Anda untuk urusan ini. Kali ini kita akan membahas shortcode pada WordPress termasuk bagaimana cara membuatnya. Shortcode pertamakali di kenalkan pada WordPress versi 2.5. Shortcode itu sendiri banyak digunakan oleh plugin dan theme, karena dengan adanya shortcode, pengguna bisa menambahkan konten mereka sendiri kedalam WordPress. In this tutorial, we will learn how to create responsive slider using Sangar Slider with different slider (layout) between desktop and mobile. Actually, Sangar slider is already responsive by default, but instead of only using ordinary responsiveness like other competitors, we push the responsiveness even further. Let me show you. Sangar Slider is a Responsive WordPress slider plugin that will help you create beautiful slider. Using drag-and-drop feature, you can create a slider with ease. Recently, Tonjoostudio, the author of Sangar Slider release an addon for Sangar Slider called Post Slider. Using this addon, you can create a beautiful slider based on your post! In this tutorial, we will dive into post slider, by creating simple slider based on blog post. Without any further adieu, let’s go to tutorial. 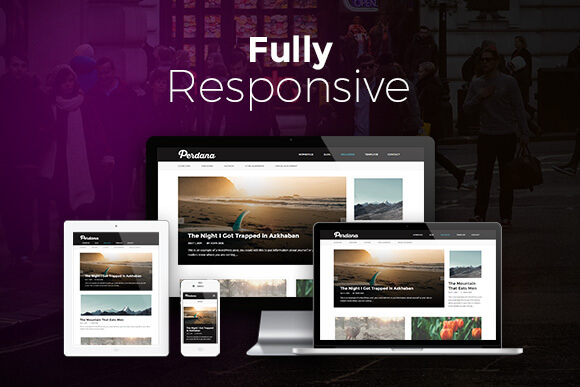 Perdana is a Magazine/Blog HTML Template with a clean design, ultra responsive and modern look. It is well suited for magazine, news, editorial, blog, photography or review site. Use it to display your awesome stories or use it to tell the world about any topic you love. Perdana comes with 5 different skin colors, 2 different layout options, 10 different background patterns, powerful ajax menu, and much more! There are a lot of free wordpress theme out there, but little to none which really pay attention to design, aesthetic, beauty and taste of its theme. Except Mino theme. 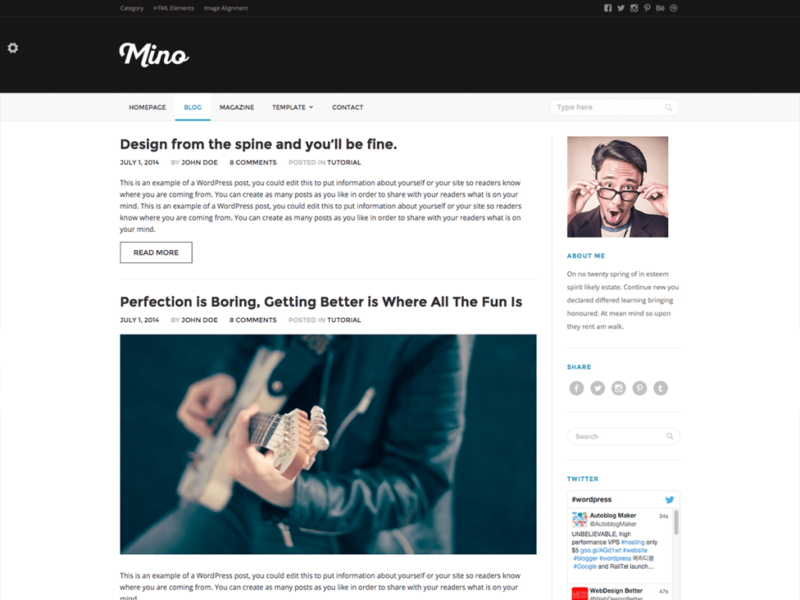 Brought to you by Tonjoo Studio, Mino theme is a responsive, modern and beautiful wordpress theme, and it’s free.